Nancy understands that a divorce can be one of the most overwhelming experiences in a person's life. She is a strong advocate of Collaborative Divorce which helps her clients maintain their dignity and privacy, while focusing on their true goals and interests. The collaborative approach makes it easier for parents to work cooperatively and in the best interest of their children after their divorce. This approach also helps her clients to make the best financial decisions. Nancy treats her clients with respect and compassion and is known for her attention to detail, her preparedness and her knowledge of the law. 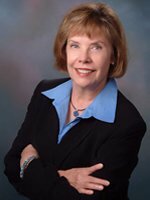 Nancy has been certified as a Family Law Specialist by the Texas Board of Legal Specialization since 1987 and a Qualified Attorney Mediator since 1991. She was in the first group of Texas lawyers to receive Collaborative Divorce training, in January, 2000, and is considered one of Collin County’s premier collaborative divorce attorneys. Nancy was a founding member of Collaborative Divorce Collin County, an alliance of Collin County collaborative divorce attorneys and is both its current and past president. Nancy is a Credentialed Collaborative Professional and was in the first group of Texas collaborative professionals to achieve this distinction. Nancy has been in private practice in Plano, Texas since 1990. Nancy is past president of both the Collin County Bar Association and the Plano Bar Association. During her term as president, the Plano Bar Association received the award for Outstanding Bar Association in its size in the State of Texas. Also, while president of the Plano Bar Association, she worked with Judge Curt Henderson and Linda Johnson of Practical Parent Education to develop the "For Kid's Sake" Seminar for Collin County litigants in family law cases involving children. Nancy received her Juris Doctor degree from the University of Missouri at Kansas City with distinction in 1977, where she was an issue editor of Law Review and a member of the Interscholastic Moot Court Team. She received her undergraduate degree from the University of Kansas with distinction. Nancy’s professional memberships include the State Bar of Texas, State Bar of Missouri, Collin County Bar Association, Plano Bar Association, Collin County Bench Bar Foundation, Curt B. Henderson American Inn of Court, Texas Academy of Family Law Specialists, Collaborative Divorce Texas and Collaborative Divorce Collin County. She is a lifetime fellow of the Collin County Bar Foundation. Nancy has an AV rating with the Martindale Hubbell Register. The Martindale Hubbell Bar Register is limited to only the most distinguished lawyers; those who have achieved the AV rating in the Martindale Hubbell Law Directory. The "A" signifies the highest level of legal ability, while the "V" denotes "very high" adherence to the professional standards of conduct, ethics, reliability and diligence. Nancy has been designated a Super Lawyer with superlawyers.com for many years. She received the 2011 Star Community Newspaper Reader’s Choice Award for Best Lawyer in Plano, Texas. Nancy was a founding board member and officer for five years of the Collin County Women's Shelter, now Hope's Door. She is a past director of Practical Parent Education and the Plano Chamber Orchestra. Nancy and her husband live in Plano. They have two adult children of whom they are immensely proud and five wonderful, beautiful and totally adorable grandchildren.